Addressing this myth can be a nice capstone to the course, as it integrates a number of topics from research methods, cognition, social psychology, abnormal, and other areas of psychology. Unlike some other misconceptions, this myth is based almost entirely in intuition and anecdote; as such, the structure of this unit might be a little different, as students are likely to have difficulty coming up with evidence in support of the myth, but may nonetheless struggle to accept evidence that counters it. Instructors should be prepared to listen for —and challenge — belief perseverance, and can use this myth to highlight how automatic and difficult belief perseverance can be to overcome. Syllogistic / logical errors: Imagine we find evidence that shows that violent crimes are in fact disproportionately committed by people with mental illness. Is that the same as saying that people with mental illness disproportionately commit violent crimes? (A provocative example of the logical error: The fact that most rapists are men does not mean that most men are rapists.) The representativeness heuristic also contributes to these logical errors (see below). Stereotypes and representativeness heuristic: Are we likely to overestimate prevalence of violence perpetrated by people with mental illness because of our stereotypes? Do media / other accounts assume mental illness because behavior fits stereotypes? Operationalizations of terms: How do definitions of dangerousness or violence fit with the ways mental illness is diagnosed? 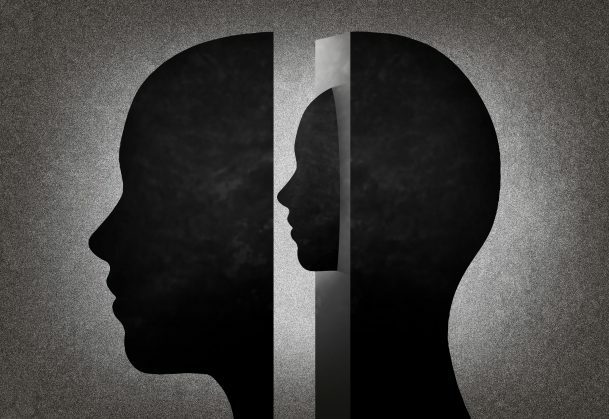 How is mental illness operationalized? In addition, associations that do exist (e.g., between severe, untreated mental illness, particularly when co-morbid with substance abuse) are often poorly understood, mischaracterized or exaggerated. Don’t Deny the Link Between Serious Mental Illness and Violence (Washington Post). This article is written by a family member of someone with serious mental illness, and argues that violence is a very real problem, particularly in those with un(der)treated severe mental illness. You can point out to students that, without an understanding of base rates (i.e., what proportion of the population is (a) actively struggling with serious mental illness at any time or (b) has ever received a diagnosis of serious mental illness), statistics such as these are difficult to interpret. (Torrey, Bruce, Lamb, Jacobs, Jaffe, & Snook, 2016, p. 11). For example, individuals determined to have been “actively psychotic” at the time of the crime are assumed to be equivalent to individuals with pre-existing diagnoses of severe mental illness prior to the crime. Yes, the Untreated Mentally Ill Are More Dangerous Than Others (National Review). This argues that statistics showing people with mental illness are not more violent are looking at all mental illness, but that people with un(der)treated severe mental illness are in fact dangerous. Speaking of Psychology podcast: Dispelling the myth of violence and mental illness, with J. Dvoskin. Position statement from Mental Health America. Get students to think critically about the claim and to generate a list of the kinds of evidence that would support or refute it. Discuss and critique the evidence that does exist in light of the discussion from Step 1. Plan to spend the majority of the class session on Step 1: thinking critically about the claim and generating a list of the kinds of evidence that would support or refute it. With this focus, students will be prepared to seek and evaluate evidence on their own if they want to know more. You will want to be sure that you have reviewed some of the evidence that appears to support and that refutes the myth (see above). If you have more time and /or a smaller class, you could at this point invite students to pull out their laptops, tablets, or cell phones to do a simple internet search about the myth to see what they find. Note that such searches are more likely to come up with evidence that challenges the myth than that supports it. Some exceptions are noted at the end, along with a few examples of sources that challenge the myth. There are many more that students might find. Have students integrate the ideas from the board about good evidence and red flags for problematic evidence into their discussion. Depending on class size and structure, you could have students place colored sticky notes next to important ideas on the board to provide a visual tally of the number of times availability heuristic, logical errors, inappropriate comparison group, etc. are found in their research. Present students with a summary of the results from Stuart, H. (2003). Violence and mental illness: An Overview. World Psychiatry, 2, 121 – 124. Based on critical analysis of the evidence, what are the students’ conclusions about the myth? What would they tell friends or family members who believe the myth? Why does the myth persist? (Perhaps discuss students’ own reactions to the evidence and the extent to which they found themselves (dis)believing the evidence and why). What are the policy implications of the evidence? What questions remain unanswered, and what additional research is needed? If you have even part of a second class session to devote to this unit, then you should plan for students to search for evidence relating to the myth on their own. This work can begin in class on the first day if needed. You will spend the majority or entirety of the first class session on Step 1: thinking critically about the claim and generating a list of the kinds of evidence that would support or refute it. With this focus, students will be prepared to seek and evaluate evidence on their own if they want to know more. Before the second class session, you will want to be sure that you have reviewed some of the evidence that appears to support and that refutes the myth. Several good examples are included above. Day 1: Thinking critically about the claim and generating a list of the kinds of evidence that would support or refute it. Why do you think I asked you to review each of these terms? First, let’s make sure we remember what each one is by briefly defining it. Now, how do you think this idea might be relevant to the question we’re considering? Why might keeping these concepts in mind help us evaluate evidence related to this question? You can spend more time really getting students to grapple on their own with the prompting questions (What am I being asked to believe or accept? If that were true, what would that mean? If that were true, what would I expect the evidence to show? If I were going to design a study to test this hypothesis, what would a good study entail?) or having them generate ideal studies that might provide the kinds of compelling evidence they would want to see before accepting the claim. For example, if students have generated a statement such as, People with mental illness are more dangerous than people without mental illness, ask students to design a study to test that hypothesis. Again, depending on the size of the class and the time available, this could be done as a whole class exercise, with students in smaller groups (perhaps with each group designing a study for a different hypothesis if many have been generated), or as an individual written assignment. If you have time left on Day 1, invite students to pull out their laptops, tablets, or cell phones to begin a simple internet search about the myth to see what they find. Before students leave for the day, task them with conducting (or continuing) their research outside of class and bringing their findings to the next class. Depending on the number of topics generated and the size of the class, you may want to assign specific topics / ideas to specific groups of students to research for next time. For example, you might assign one group of students to specifically look for evidence related to school shootings, another group of students to look for evidence related to intimate partner violence, and so on. Plan to spend one-half to two-thirds of your time on Day 2 discussing the evidence students have found and the remaining time integrating and applying the ideas. If you assigned topics to groups, you might use a jigsaw classroom approach in which students first get together in their topic group to go over their information together, then re-group students so that each student has a different source or idea to discuss before reporting back to the entire class. You might go through the list of characteristics of good evidence / red flags and ask students to share examples of each. (Did anyone find an example of evidence that relied on inappropriate comparison groups? What examples of different ways of operationalizing mental illness did you find?) Depending on class size and structure, you could have students place colored sticky notes next to important ideas on the board to provide a visual tally of the number of times availability heuristic, logical errors, inappropriate comparison group, etc. are found in their research. If you have all or part of a third class session to devote to this unit, then you can plan to spend one day on each of the 3 steps in this unit. Day 1: Thinking critically about the claim and generating a list of the kinds of evidence that would support or refute it. This day will be structured as described for a 1.5-to-2 day lesson, with explicit review of concepts such as availability and representativeness heuristics, logical errors, stereotypes, and operationalizations of variables, expanded time for students to grapple with the questions about the characteristics of strong evidence and red flags of questionable evidence. End this class with (a) a specific list of strong evidence and red flags and (b) students assigned to search out their own evidence for and against the myth. Using a jigsaw approach for students to discuss and share evidence with each other before coming back as a larger class. Explicitly mapping the sources and types of evidence found against the lists created on the first day, with discussion of the relative strengths and weaknesses of the overall body of evidence. Are there particular areas (e.g., school shootings) where the evidence is stronger / weaker than other areas or prone to common problems (e.g., overreliance on anecdote, poor operationalizations of variables). Providing a brief mini-lecture summarizing the key points from Stuart, H. (2003). Violence and mental illness: An Overview. World Psychiatry, 2, 121 – 124. At the end of this class, ask students to identify questions that remain unanswered or have been raised by the discussion, and ask them to conduct research before the next class to see if they can find any evidence that speaks to these questions. You might encourage students to seek not only popular sources (e.g., as might be found in a Google search) but also scholarly sources (e.g., via PsycInfo). Day 3: Integration and application of ideas. Begin this final day similarly to the previous day, by inviting students to share, critique, and discuss the evidence they found in their second search. Can Scientific Rigor and Creativity Coexist?